Welcome to clarity, commitment and a brighter financial future. To bring to our clients a lifetime financial planning experience, where the advice is uncomplicated, clear and at all times meaningful. Continuum has been created by some of the most experienced people in the industry to deliver a modern financial planning experience. 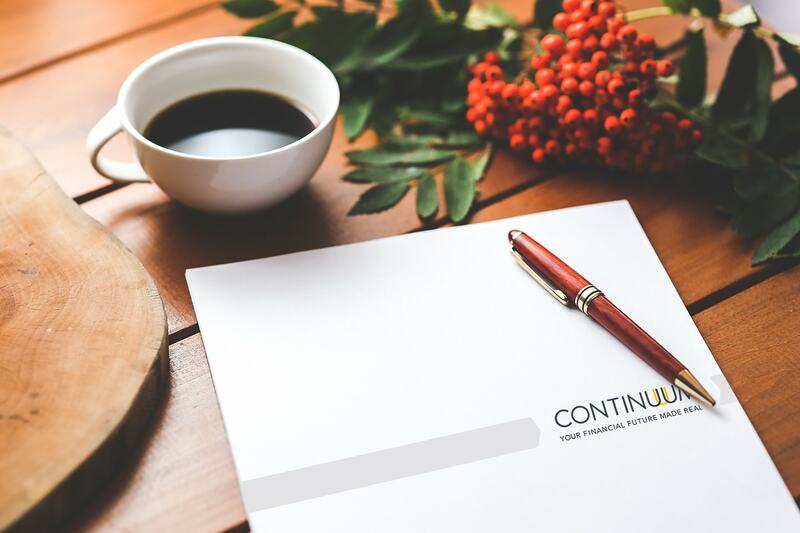 Continuum is a partnership of like-minded Independent Financial Advisers sharing a common passion, approach and commitment to practicing true financial planning. Our advisers have access to the latest technology to research the market to find the best products to suit your needs. Using technology means our advisers can spend more time working on the needs of clients. We place clients at the centre of everything we do and aim to provide exceptional service at all times. We provide online tools to our clients who can view all their financial affairs, securely, in one place. When you choose Continuum as your financial advice partner you enter into a business relationship with an adviser, not a business transaction with a sales person. Our advice proposition is one of simplicity and clarity, delivered by a trusted and professional adviser. The value of pensions and investments can fall as well as rise and you may get back less than you invested. Simple and efficient, we make wealth management accessible to everybody ensuring we are there for our clients when we are needed. Our advisers are all hand picked, professional, fully qualified and accomplished. We have a wealth of experience within our market. Our clients receive the same commitment to quality service regardless of their wealth. We communicate in a friendly human and personal way in order to build lasting relationships. Ours is a culture of strength and unity. We ensure our advisers meet the regulatory and ethical standards in order that our clients receive the advice and the service that they deserve. We are responsive to the industry changes. This ensures that our clients are best informed to achieve their financial planning needs. The awards we have won are the recognition of our clients and industry experts to the quality of the services we provide.